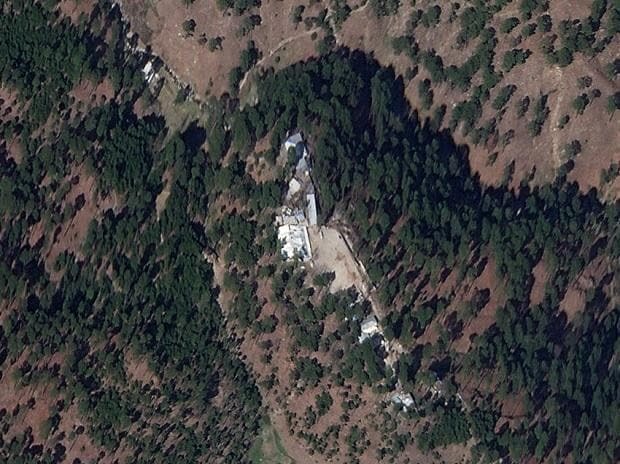 High-resolution satellite images reviewed by Reuters show that a religious school run by Jaish-e-Mohammad (JeM) in northeastern Pakistan appears to be still standing days after India claimed its warplanes had hit the Islamist group's training camp on the site and killed a large number of militants. The images cast further doubt on statements made over the last eight days by the Indian government of Prime Minister Narendra Modi that the raids, early on Feb. 26, had hit all the intended targets at the madrasa site near Jaba village and the town of Balakot in Pakistan's Khyber Pakhtunkhwa province. "The high-resolution images don't show any evidence of bomb damage," he said. Lewis viewed three other high-resolution Planet Labs pictures of the site taken within hours of the image provided to Reuters. Government sources told Reuters last week that 12 Mirage 2000 jets carrying 1,000 kg (2,200 lbs) bombs carried out the attack. On Tuesday, a defence official said the aircraft used the 2,000-lb Israeli-made SPICE 2000 glide bomb in the strike. "If the strike had been successful, given the information we have about what kind of munitions were used, I would expect to see signs that the buildings had been damaged," Lewis added. "I just don't see that here." "There has been no damage to any infrastructure or human life as a result of Indian incursion," Major General Asif Ghafoor, the director general of the Pakistan military's press wing, in a statement to Reuters. "This has been vindicated by both domestic and international media after visiting the site." "It shook everything," said Abdur Rasheed, a van driver who works in the area. He said there weren't any human casualties: "No one died. Only some pine trees died, they were cut down. A crow also died." India's Foreign Secretary Vijay Gokhale said on the day of the strike that "a very large number of Jaish-e-Mohammad terrorists, trainers, senior commanders, and groups of jihadis who were being trained for Fidayeen action were eliminated" in the attack. Fidayeen is a term used to describe Islamist militants on suicide missions. "We want to know how many people actually died," said Mamata Banerjee, the firebrand chief minister of West Bengal state, in a video published by her All India Trinamool Congress party in a tweet on Feb. 28. "Where did the bombs fall? Did they actually fall in the right place?" "We don't want a war for political reasons, to win an election," she said. Modi has accused the opposition Congress party, and other opponents such as Banerjee, of helping India's enemies by demanding evidence of the attacks.